Meathead Movers is here to take care of the heavy lifting for you on your move to Laguna Woods. Our clean-cut student athlete movers are ready to get you safely settled into your new Laguna Woods home. A small community situated in southern Orange County, Laguna Woods is home to one of the most popular retirement communities in California. For many, moving to Laguna Woods signals the switch to retirement and a life of leisure. Choosing Laguna Woods movers to help with the process is a great way to ensure that your move will be pleasant and stress free. 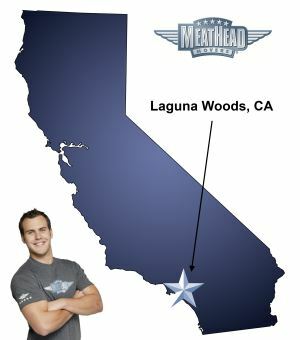 At Meathead Movers, we’ll be happy to help you make the transition to Laguna Woods. One of the largest communities within Laguna Woods is Laguna Woods Village, which was formerly known as Leisure World. This retirement resort provides a full range of services for residents. A wide variety of recreation and entertainment opportunities can be found in and around Laguna Woods Village itself. Thanks to its location, Laguna Woods also boasts easy access to some of the most beautiful outdoor spots in southern Orange County. Crystal Cove State Park, home to several trails and beaches, lies just to the west of Laguna Woods. The community of Laguna Beach, which boasts great shopping and dining opportunities, is just a short drive to the southwest. The new Orange County Great Park also lies just to the north of Laguna Woods. This park is being constructed on the former site of the El Toro Air Station. The park is home to a popular hot air balloon ride, nature trails and a playground. The communities surrounding the park also offer all the shopping, dining and medical facilities that residents could want. Of course, moving can be a stressful and tiring experience. You might be worried about how you’re going to navigate a truck through the tight streets of Laguna Woods. Perhaps you don’t mind moving but know that you just can’t lug everything around yourself. At Meathead Movers, we’re proud to be your Laguna Woods movers of choice. Our moving company specializes in local, long-distance, on-site, and commercial moves to, from, and within Laguna Woods. Our friendly movers are student athletes who believe in making the most of your time. When they’re not carrying boxes, your movers will be jogging to ensure that everything gets done quickly. Moving to Laguna Woods means starting a new and relaxing chapter in your life. At Meathead Movers, we work hard to take the worry out of moving. Our Princess Packers will be happy to box up your possessions and always make sure to take extra care with your fragile items. As your Laguna Woods movers, we can also provide moving concierge designed to make settling down in your new home easier than you imagined it could be. Call us today for a free moving quote and experience our revolutionary approach to the moving industry for yourself. With our 100% satisfaction guarantee, the only thing you have to lose is the stress that comes from moving! Moving to Laguna Woods? Here are some helpful resources. View more Laguna Woods resources. They were fast, efficient and really great. Meathead Movers was very flexible with me from the outset. They were able to work with me on the price and amount of minimum time. They called me to confirm my appointment. They called me earlier the day of the move and called me when they were on the way. My movers were very friendly and very capable. Everything was moved in a timely fashion and with no problems. I’ll use them for a more involved upcoming move. What didn't we like!!!!!! Best moving experience ever! Adrian and Ryan did an incredible job.They were efficient in every way.Will recommend meathead movers whenever possible.